When it comes to flaunting a naturally glowing look, you must follow the undertone of your skin in order to find out the right shade of blush. The simple rule says, a warm-toned blush (peach, coral, bronze, apricot, copper, orange, mocha, etc.) suits a warm undertone the best and a cool-toned blush (pink, pale pink, plum, purple, wine, berry, mauve, etc.) goes excellent with a cool undertone. 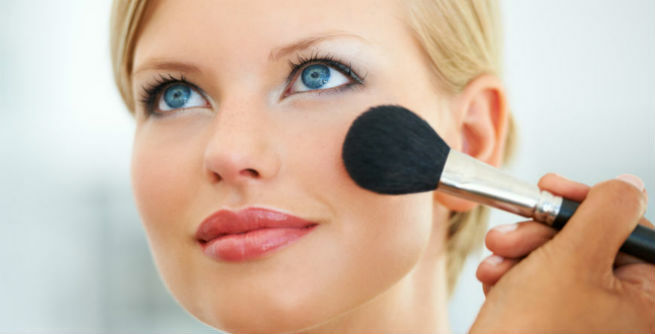 We have already told you how to choose the right shade of blush as per the undertone of your skin. However, if you still find it tough to figure out your perfect glow tone, here is a way for you. 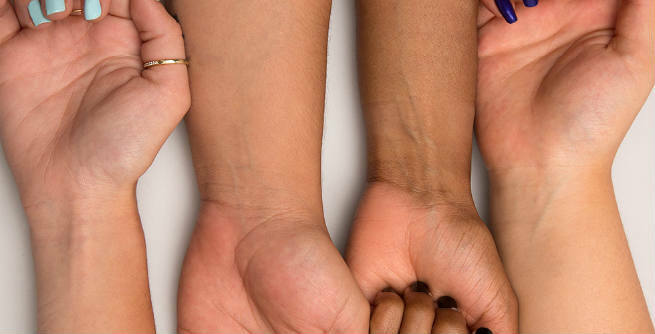 Just make a tight fist by squeezing your palm and release to find the color of your palm. The shade of your blush should be the nearest one to it. Round: Make your face look elongated by blending the blush uniformly into your skin starting right from the middle of the ears. Square: Soften your strong jaw line a bit by applying the blush directly to the apple of your cheeks and blending up to the ears properly. Long: Add fullness to your face by swiping the blush brush underneath your cheekbones and going up to the temple areas gradually. Heart-Shaped: Opt for a cream blush that would give a soft definition to your face and apply it directly to the apple of your cheeks, thereby blending well up to the ears. It is of utmost importance that you take the time of the day into account while applying blush. A subtle shade and light-handed application is considered as the key for adding a natural, healthy glow to our cheeks during the daytime. For night, choose something more intense and dramatic. Shimmery blush can make your face shine, while creating an illusion of high cheekbones easily so that you can stand out from the crowd in those evening parties. Cream foundation is always the best to appear exclusively radiant. Apply your foundation followed by your cream blush and blend them together into your skin for added glow. If you want to get a gorgeous dewy face, follow the previously mentioned step first. Then, apply a liquid highlighter so that your face reflects light and appear extremely fresh and bright. Hide those doll-like eye circles by swiping your blush brush along your cheekbones from the ears to the nose in a diagonal way. It will help a lot in illuminating your face. Do not let your tired eyes affect the natural shine of your face. Just add a touch of blush to your eyelids and see the difference.